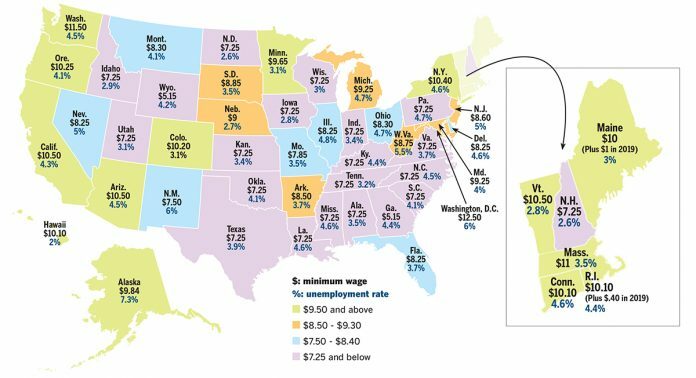 IT’S A LOCAL STORY: Higher minimum wages do not seem to have hurt New ­England excessively – three states have among the lowest 10 jobless rates in the nation. And Massachusetts, with the third-highest minimum wage in the nation, comes in at No. 17 for lowest jobless rate in the nation. No one ever said New England followed all the national trends.